Casper is a handsome big chap who has been in kennels for too long and is in need of a retirement home. He is 11 years old and as much as he enjoys playing with his toys (especially squeaky ones) he enjoys relaxing much more. He is a very clever cookie! He can sit, give paw, walk backwards, leave items, and hand target! All very impressive. Casper is looking for a calm and sensible adult only home(18 plus)with experience of owning rescue dogs before. He has come on leaps and bounds since coming to our centre and he just needs someone to commit to giving him time and space to settle. He likes to walk with his doggy friends but in the home prefers to be the only pet. He loves to sunbathe so having a secure garden is a must! 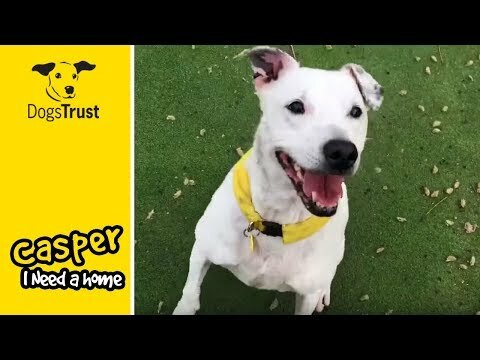 Casper would like to meet his new owners a few times at the centre before going home. His new owners will also need to work with our training and behaviour advisor to ensure Caper is given the best support to settle into his forever home. It is important that his new home use positive only reward based training. Thank you for your interest in Casper, who is based at Glasgow. Please note this is not a reservation on this dog. 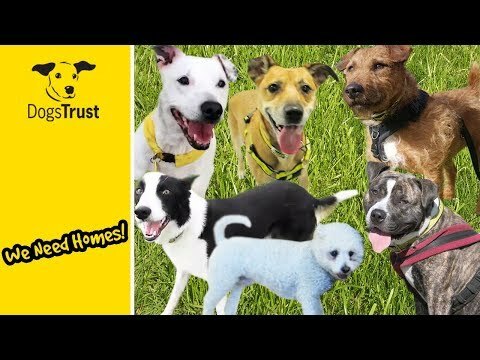 To start the rehoming process you will need to go to a rehoming centre for a quick chat. Please find information below about what to expect during the rehoming process. We hope to see you soon.